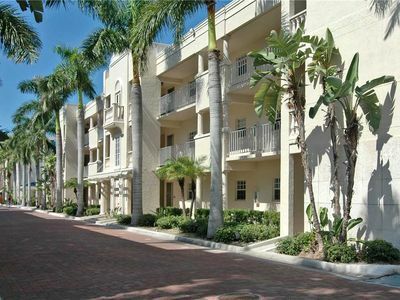 Fabulous Bayside Unit 611, 1st floor unit by the pool, Free Cable and Wi-Fi, Central A/C, and Beach Access. 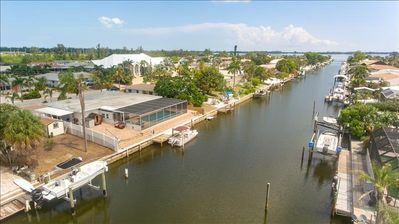 waterway while also being in walking distance to the Gulf of Mexico. 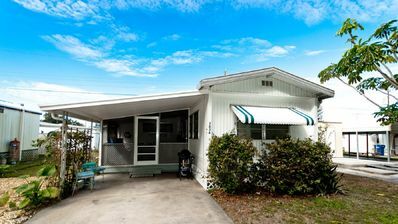 Our property offers a heated swimming pool with a large pool deck complete with lounge chairs and seating with sun shade, 2 tennis courts with 1 of them having pickle ball lines, basketball court, club house, barbeque grilling area, a beautiful observation deck at the end of our property and even private docks available to rent for your boat. During season (February and March) we have popular events that include live music, Yoga classes and much more. 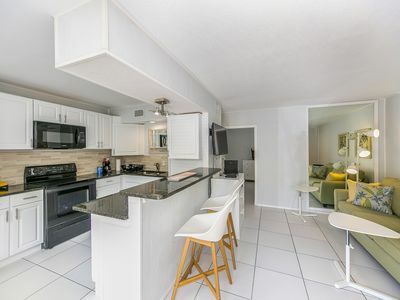 We are located just minutes from beautiful downtown Sarasota, the world renowned Ringling Museum of Art as well driving distance to such attractions as Walt Disney World and Busch Gardens Tampa Bay. 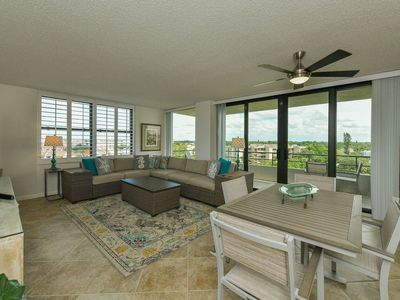 Sarasota is a top vacation destination in Florida and Midnight Cove II offers the perfect location and setting to enjoy it. We truly are the perfect location for your get away. World acclaimed Siesta Beach is made famous by its sugar-fine, quartz-white sand, not to mention the thriving Siesta Village. 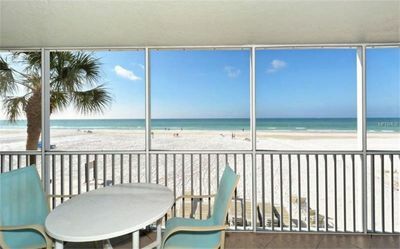 Visit us and you will see why Siesta Key should be on your bucket list. 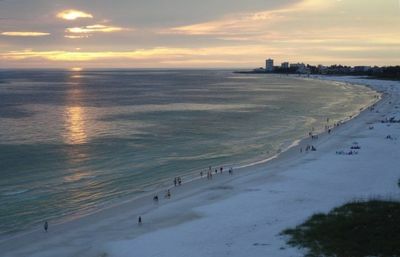 Siesta Key beach has been ranked the best beach in America. Ready to pack up that bathing suit and a pair of flips flops? 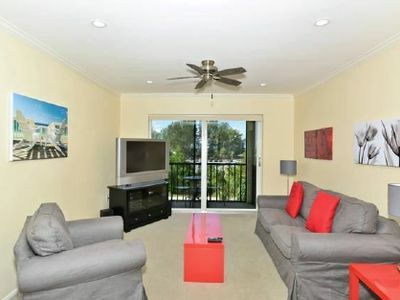 If you're looking for a condominium rental, look no further! 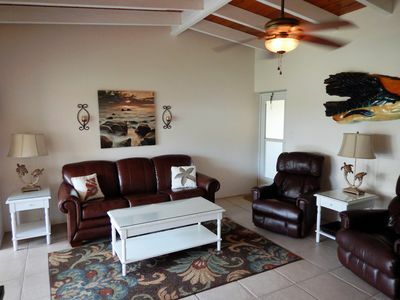 Our sprawling tropical oasis can accommodate a minimum 7 night rental– to, well, forever if you like! So, welcome aboard and let us help you begin your accommodation planning! Maybe you want to stay forever and have found your happy place? Check out our website for a listing of units for purchase. 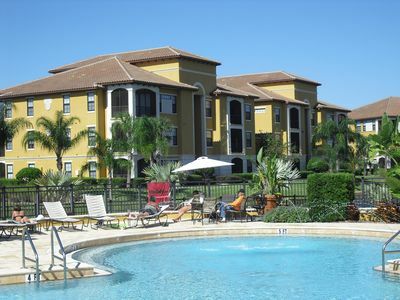 We have an agent on site that can assist you in the purchase of one of our fabulous Vacation Condominiums. Designed for total comfort and relaxation, this premium Firethorn has been expanded for greater spaciousness (1050 square feet). 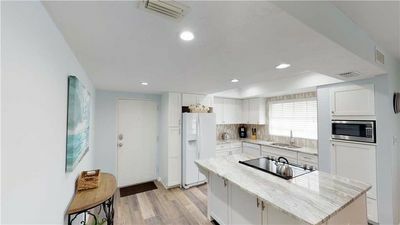 The newly renovated kitchen features a beautiful Succari granite breakfast bar with stools and all NEW stainless steel appliances. Freshly painted, the unit also features a NEW 46'' Sanyo flat screen HDTV in the great room; plenty of comfortable leather seating; TVs in both bedrooms; FREE long distance phone calls within Canada/USA; WIFI; laundry room with washer/dryer; NEW king-size master bed; and two fully renovated bathrooms with walk-in showers. 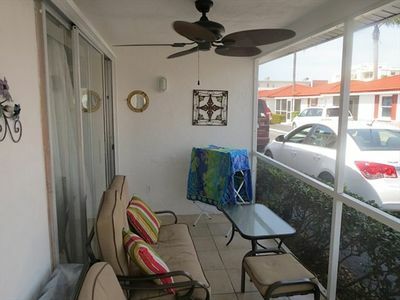 Sheets, bath towels, beach towels and beach chairs are provided in the unit as well as free high speed internet service with a Wi-Fi network that permits easy connection to your laptop, cell phone or tablet. 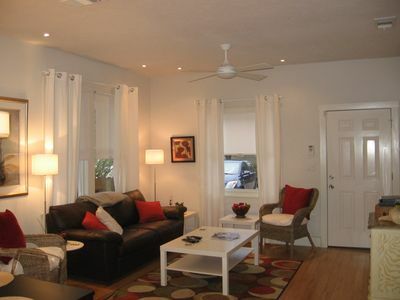 House cleaners will come at the end of your stay but are available for an additional charge during the stay. 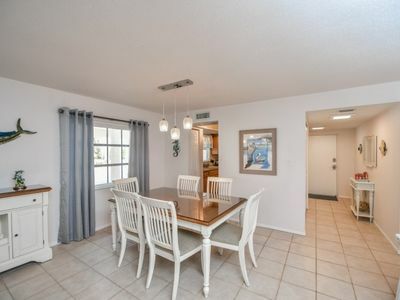 Swim in the private heated pool with our newly expanded deck, bike the islands secluded back roads, Fish from the condo docks, the waterway or the beach. 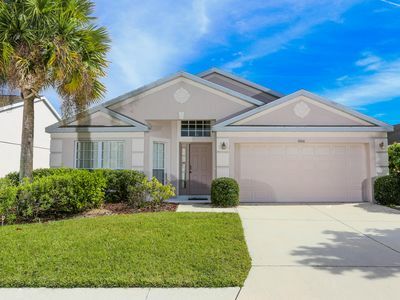 Play tennis on one of the two well-maintained courts in the center of the condo complex or simply roam the trails of this beautifully landscaped 14 acre community. 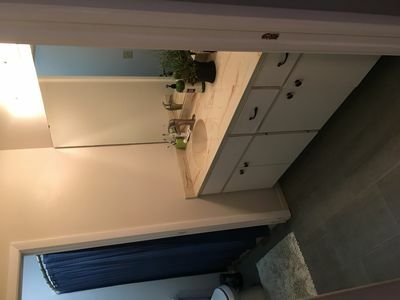 SUPER CONVENIENT LOCATION! AND PET FRIENDLY! 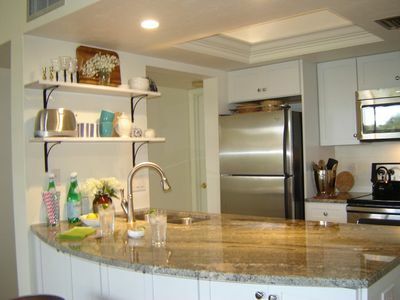 5-Star Luxury Condo - Beautifully Renovated! Voted No. 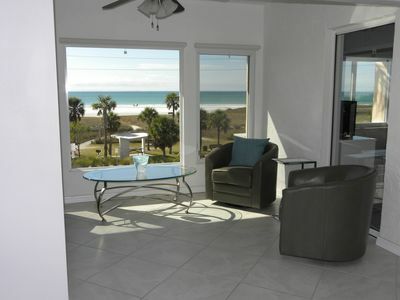 1 Beach in US - 10th Floor Beachfront - Steps to Sand! 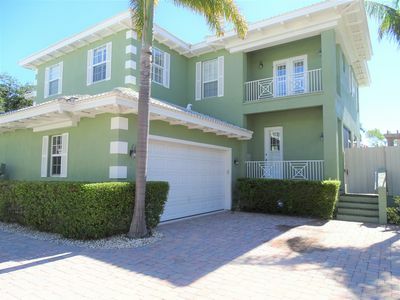 357 Tierra Mar Lane - Village Place- Beautiful! 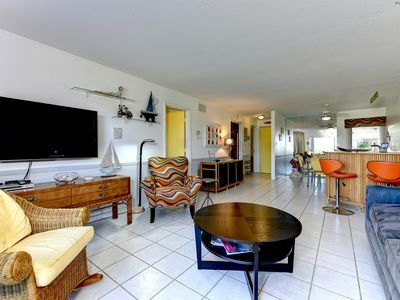 Large Siesta Key Vacation Home a Short Walk to Beach. Suite A.